If you follow me on Facebook or Twitter, you have probably at least once witnessed one of my rants about my ongoing battle with my complexion. At the age of 36, I have bouts with acne that rival & surpass anything I suffered as a teenager. And I have tried it all... every over the counter acne line ever made. Even the ones that combine the anti-aging with acne control. The breakouts just keep on coming. About 6 months ago, I finally broke down and shelled out the money for one of those fancy anti-acne lines you purchase online. I put down my foot and said it ends now. Well... yeah. It didn't work any better than the other facial care lines I had been using from the drug store that costs a third of the pricier line. I had been wanting to try some homemade remedies because at that point I was tired of pouring money into the store bought lines & really didn't feel that I had anything to lose but hopefully the breakouts at that point. I was hoping that I could post before and after photos for you all, but I chickened out. I just couldn't put the complexion I try so hard to cover up out there on the internet for all to see. Call it vanity or what not, but I just didn't have it in me. 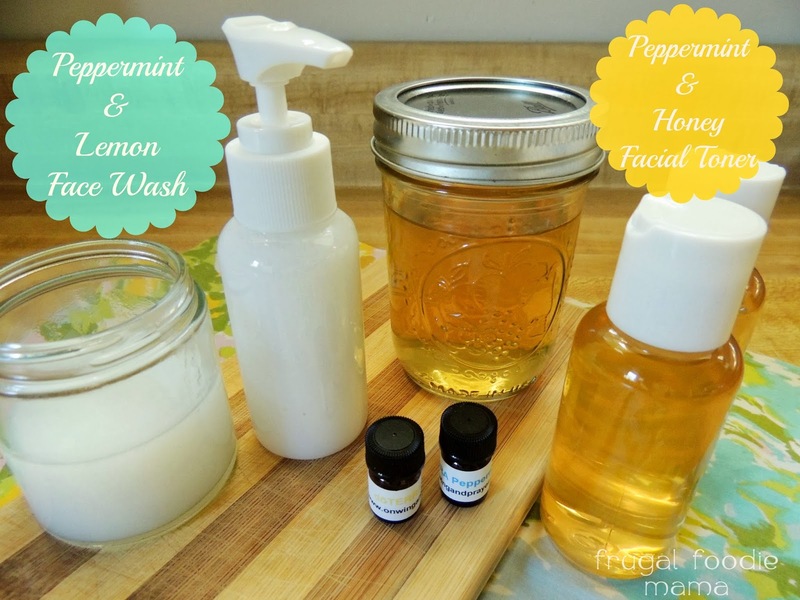 I have been using this Homemade Peppermint & Lemon Face Wash and the Peppermint & Honey Facial Toner for a couple of weeks now. While my skin isn't perfectly clear, I have noticed a lot less breakouts since using it. The jury is still out as to whether this is my permanent solution yet for my adult acne, but I cannot complain about the results so far. In a small saucepan, bring the water to a boil. Remove the pan from the heat and stir in the glycerin soap pieces. Stir until the soap completely dissolves. Once cooled, add the lemon and peppermint essential oils. Stir gently to incorporate. Using a funnel, pour into a pump bottle. (I found mine at my local dollar store.) I stored the additional facial wash in a covered glass jar. ** This facial wash recipe is inspired by THIS ONE from Homegrown & Healthy. Just a couple of quick notes about this facial wash- #1 It smells AMAZING! In a small bowl, mix together the warm water & honey until the honey completely dissolves. Then stir in the water, apple cider vinegar, and peppermint essential oil. Funnel into a small bottle. I stored the remaining toner in a small glass jar. Apply the toner to your skin using a cotton ball after washing with the Peppermint & Lemon Facial Wash. Do not wash off. **This facial toner recipe is inspired by THIS ONE from Mommypotamus. 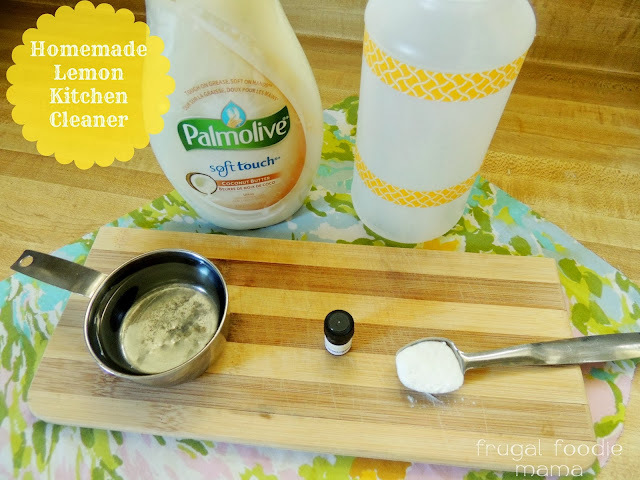 When I first made this toner recipe, I only put in 5 drops of the peppermint essential oil. I would recommend adding a few more drops. By week two, my toner has lost most of it's peppermint essence. And now smells pretty much 100% like apple cider vinegar.